By the time he got to the “Case of the Missing Dancers,” Sgt. 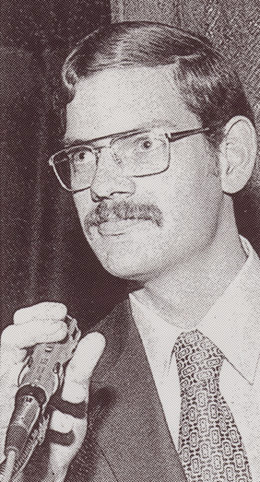 Glenn Flothe had worked 17 separate homicide investigations. Those cases accounted for thirty or so deaths. Every one with a lesson learned. Taken as a whole, they spoke to the vagaries of the criminal justice system. Take the three would-be robbers who kidnapped and killed a 72-year-old woman and her son. Though two were convicted of kidnapping — and received 90 year sentences — they got away with murder. A third participant escaped prosecution by testifying against the other two. Lesson: assume nothing; get all your ducks in a row. The “family” theme raised its head again, when a teen killed his parents after an argument about a bank overdraft. 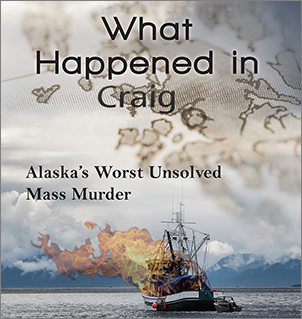 And when a man killed his roommate and dumped his body in a remote spot north of Anchorage. That last one went sideways, though, when one of the troopers didn’t pay sufficient attention to the suspect’s Miranda request for an attorney. Lesson: Miranda can come back and bite you. Then there was the case where a drifter killed his landlord and his roommate, was subsequently spotted driving a van seen in the area of the killings — but released by the police. He was picked up later, of course. Near Dayton, Ohio. 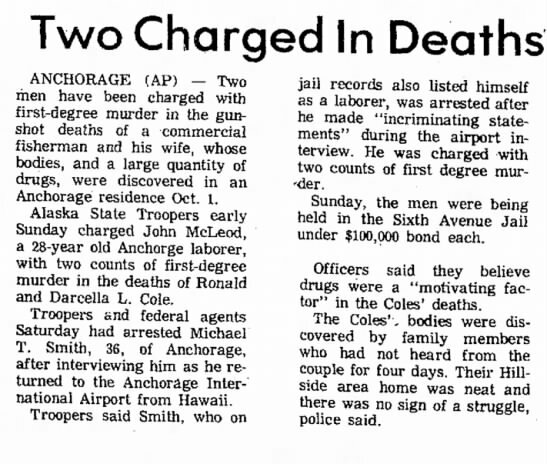 Then he escaped again, from a holding jail in Anchorage. Oh yeah, and this guy had an extensive criminal record. Lesson: some bad guys are permanent offenders, with nothing to lose. And, sadly, there was teenager who was sexually assaulted and killed in Haines… Her killer has never been found. What can we say about the commercial fisherman who turned to distributing cocaine? That he and his wife were murdered over what — $10,000 in drug debts? Lesson: drug dealing is sometimes more hazardous than commercial fishing. Finally, we hear about the three teens who killed a realtor, stole her car and went joyriding. The Alaska Court of Appeals ordered a new trial for one of three teenagers convicted of clubbing the elderly woman to death, saying the youth’s confession should not have been allowed as evidence.